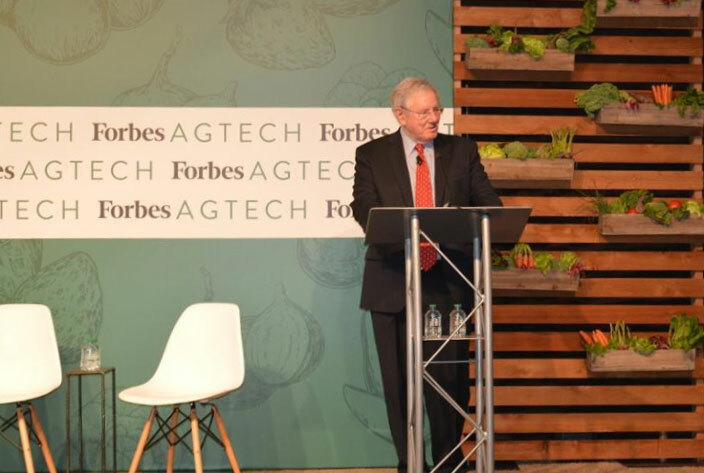 CAMPBELL, Calif.– who creates sustainable infrastructure and energy independence for companies in critical industries, unveiled today its newest cogeneration Clean Power Station at the 2017 Forbes AgTech Summit in collaboration with Church Brothers Farms and True Leaf Farms. The company’s “power plant as a product” offering creates high-efficiency energy modules for onsite electric power generation and low temperature refrigeration. “By 2050 the planet will need to grow 70 percent more food than it did in 2009. With this incredible high demand and growth, the need for better sustainable, efficient and independent energy infrastructure in the agricultural sector will be critical,” said Brian Curtis, CEO and founder, Concentric Power. The Clean Power Station at True Leaf Farms includes a 2.0 megawatt electric generator, a high efficiency internal combustion engine and a 250-ton refrigeration module providing cooling to 18 degrees Fahrenheit. Cogeneration, also known as cogen or Combined Heat and Power (CHP), is the production of electricity and heat from a single fuel source. Concentric Power’s technology has the unique ability to tie directly into existing refrigeration systems and effectively capture heat that would otherwise be lost during the production of electricity. This provides a clean energy solution most efficiently and directly to the host facility while also creating significant economical savings and increases in long-term sustainability. This efficiency translates directly to greater than 25 percent reduction in both greenhouse gas emissions and energy costs. The Clean Power Station at True Leaf Farms was unveiled during the Forbes AgTech Summit in-field tours on June 28. In addition to design, fabrication and installation of the cogen system, Concentric has entered into a 10-year service agreement with True Leaf Farms to operate and maintain the system. Concentric Power was also featured in the Innovation Showcase throughout the Summit on June 28-29, held in the National Steinbeck Center at 1 Main Street in Salinas, Calif. An existing 2.0 MW Concentric Clean Power Station at Taylor Farms was also featured in the in-field tours. Concentric Power was founded in 2011 by 3rd generation Salinas native CEO Brian Curtis. Concentric Power joined the Western Growers Center for Innovation & Technology as one of its inaugural residents in 2015 and believes collaboration with other industry leaders and entrepreneurs is essential to industry growth. Concentric Power, based in Campbell, Calif., and founded in 2011, creates high-efficiency energy modules for onsite electric power generation and low temperature refrigeration. By generating electric power and thermal energy at the same time, Concentric Power captures heat that would otherwise be lost during the production of electricity and instead provides a clean energy solution. Concentric Power’s “power plant as a product” delivers the most energy efficient method today for agriculture and industrial sectors seeking an economical, efficient power and refrigeration solution. Concentric Power joined the Western Growers Center for Innovation & Technology as one of its inaugural residents and believes collaboration with other startups and leaders is essential to industry growth.